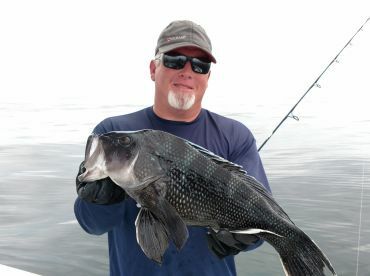 Every summer, thousands of anglers take to Cape Cod in search of that fish of a lifetime. 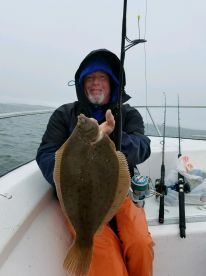 Cape Cod fly fishing brings in trophy fish every year. More than that, the area seems custom-built as a fly angler’s heaven. Striped Bass and Bluefish crowd the shallows. False Albacore and Bonito swim through the sounds. Head offshore, and you can attempt one of the most ambitious catches possible on fly tackle - Bluefin Tuna. Bluefish and Striped Bass make up most of the Cape Cod fly fishing scene. From May onwards, huge “Cow” Stripers spend their days sucking up streamers and munching on minnows. 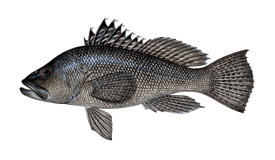 During late summer, you can find big “Gorilla” Blues comb the coves in search of Menhaden. 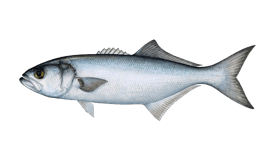 Bluefish are known to exceed 20 pounds here, and 40-pound Linesiders are a possibility, too. Head to deeper waters, and you’ll find Bonito, Little Tunny, and Spanish Mackerel. Small Tunas have enjoyed a surge in popularity among fly anglers recently. Well, fly anglers have enjoyed a surge in Tuna fishing, anyway. You can target all three species all summer long. They’re well within reach of the shallows if you want to split your day. If you get bored of fat Mackerels and little Tunas, there are much bigger fish offshore. Cape Cod is famous for its Bluefin Tuna, and there are plenty of big Sharks if you really want to push the boat out. 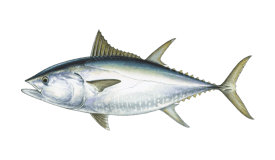 On warm years, Yellowfin Tuna and White Marlin wander in from the Gulf Stream. You’ll want something a bit bigger than an 8-weight out here! 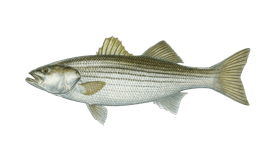 The most famous Striper action is along the Outer Beaches. Truro and Provincetown are good bases and are right on the northern Tuna grounds, too. Chatham is the jack of all trades, with access to every major fly fishing species. 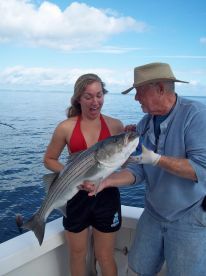 You can fish the beaches for Stripers and Blues, hit the Nantucket Sound for Bonito and Tunny, or head offshore in search of big game. The further “Up” the cape you go, the more out of reach the deep seas get. You can target Bluefin out of Falmouth, but you’ll need a 12-hour trip to do so. 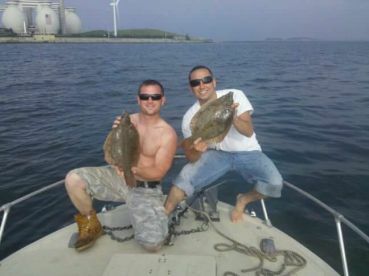 Buzzards Bay and Cape Cod Canal have some of the biggest Stripers and Bluefish, though, and Vineyard Sound is legendary when it comes to small Tunas. If you’re sticking to the shallows, a stiff 9-weight will do the trick for Stripers and Blues. Nine feet or so should do the trick striking a balance between effective charter fishing and good shoreline action. The thing that makes Cape Cod such a fish magnet is the huge schools of Herring and Squid that pass by every summer. Find out what the fish are eating and match the hatch accordingly - White Deaths and Lefty’s Deceivers are popular among local guides. If you’re heading offshore, bulk up to a 12 or even a 14-weight. You can find big fish on the surface, especially if you chum the water first, so you won’t need super-quick-sinking line. Go for raw test strength instead - you’re gonna need it. You’ll need a saltwater fishing license whether you’re fishing from a boat or along the shoreline. You can buy these online ahead of your trip. That way, you can head straight to the waters when you arrive. "Anytime with Captain Mike "
Snagging Pogies, Jiggin Mackerel or soft plastics and lures. Experience, fun, and a lifetime experience every time. Captain Mike also has extensive fly fishing expertise as well. Do yourself a favor and book a charter you won't regret it. Top notch electronics and equipment make it very enjoyable.